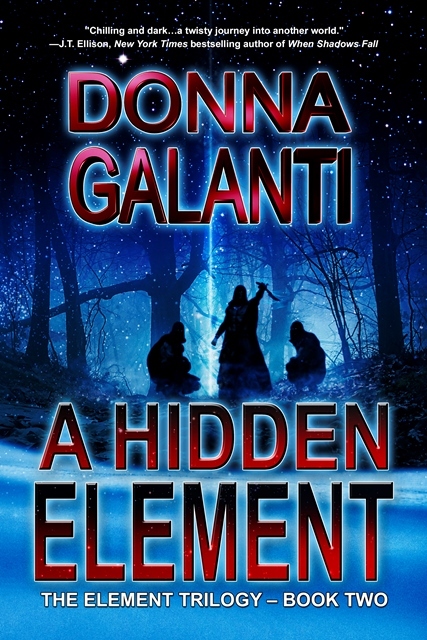 My experience and my fascination with mental powers fueled the writing of my characters in my paranormal suspense novel, A Hidden Element. Several characters have mind powers: telekinesis, mind control, healing. All have different perspectives on using them: one to feel all-powerful, one to sacrifice and help others, one to find belonging, one to save her family. 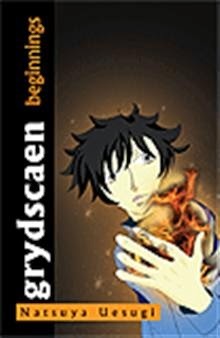 Charlie, a teenager, has difficulty controlling his power to move objects until Adrian brings him into his fold and shapes his power to be used to control others. Laura has given up her powers to provide her son with a normal life, until she is faced with rescuing him from the evil that brainwashes him and she must use her powers once again for good and evil. And Caleb uses his healing powers to save others, but can never free himself from his own prison of pain. So what exactly is telekinesis? It’s the action of mind over matter, in which objects are caused to move as a result of mental concentration upon them. Is it science or fraud? Akin to seeing spirits or not? And if one believes in ghosts are they inclined to believe in other paranormal phenomenon too, like telekinesis? Another term grew from telekinesis: psychokinesis. PK, as it’s known, encompasses a wider group of mental force phenomena that telekinesis now falls under. Did you know that PK Parties were a cultural fad in the 1980s? Groups of people were guided through rituals and chants to awaken metal-bending powers, or perhaps it was just another excuse for a party! Either way, you can read about it from PK party founder, Jack Houck. Real or fake? You decide. Ouija boards were also a PK fad. When I was eleven years old a friend and I channeled an “evil spirit” through the board who levitated the ouija’s movable indicator. The spirit told us to find a boulder in the woods with an “X” on it where we would find hidden green treasure. We found the boulder but the only green treasure we found was the angry, green icy flow of the raging creek that nearly swept us away that February day. That was my last attempt to play with a ouija board! Read about more of my paranormal experiences as a child here. Most scientists believe that the existence of telekinesis has not been convincingly demonstrated. I’m not sure what I believe, but I do think there are amazing discoveries about how the brain works to still be found. I do know I will never touch a ouija board again. I believe we can do so much more with our brain powers. What do you believe? 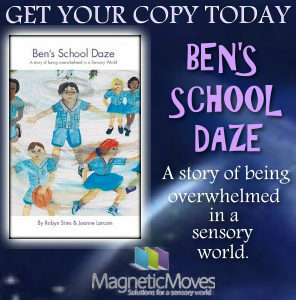 An avid reader as a child, Galanti grew up in a nurturing environment, immersed in books such as The Hobbit,Little House in the Big Woods,The Island of the Blue Dolphins, My Side of The Mountain, Call of the Wild andWhite Fang. “My favorite author was Roald Dahl and my favorite book of his was Danny the Champion of the World,” says Galanti, whose dark imagination ran wild from the start. I served my country in the United States Navy working as a boiler technician on board the USS McKee AS-41 assigned to the 7th fleet. While deployed at various ports-of-call throughout Africa, Asia and the Middle East I began to learn about other cultures’ monsters and nightmares and I use my world travels and experiences take you to some of the exotic places that I’ve been but have altered and embellished with my twisted view of how a story should end…while at the same time taking you on a journey you might not otherwise be able to afford or brave enough to undertake. The Darkness, is my first full-length novel, is published by Bennett and Hastings. My current projects, “…And They All Lived Happily Ever After” and “Artificial Light,” the sequel to The Darkness will be released in 2011. My short story “The Ruins” was the runner-up selection of Crypticon Seattle’s 2010 writing contest, and accepted for publication for The Static Movement Anthology “Sowing the Seeds of Horror.” My short story “The Monster” will be featured in the anthology “Strange Tales of Horror” published by NorGus Press. Q: Thank you for this interview, Crystal. Can you tell us what your latest book, The Darkness, is all about? A: Thank you so much for your time today. The Darkness is a sci-fi thriller told in an urban setting about a rogue scientific experiment that goes horribly wrong. The experiment that the scientist loss control of is a little boy named Adam. 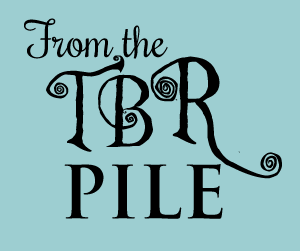 Q: Is this your first novel? If not, how has writing this novel different from writing your first? A: Yes, this is my 1st novel. I have been writing, or at least telling stories, for as long as I can remember but they were always short stories. A: It took me five years to write The Darkness, not because it was difficult but because for one it started out as a short story so I thought The Darkness was complete at around the 2,700 word count mark. Another reason it took so long to write The Darkness was because I wasn’t working on it everyday. I was working in a small Seattle shipyard when I met a man named Mike Jones, who by the way is an award winning author and editor. When the guys in the shop learned that I was a writer they introduced me to Mike. When he read the 1st few chapters of The Darkness he said that there was no way that The Darkness was going to be a short story and he recommended that I start taking my writing seriously. As far as writers block is concerned I suffered quite the opposite. I’d be so excited about a scene or chapter that I was working on or have so many ideas about what to write next that I would get frustrated because I couldn’t translate what was going on in my head on to paper exactly the same way I envisioned it. There were times that I wrote and then rewrote the same scene over and over again until I got it just right. A: Right now my biggest fans are my family and friends and they have been far more than just supportive. There was a time when I wrote for 2 or 3 days straight, I didn’t eat and couldn’t sleep, my eyes felt like sandpaper and in a sleep-deprived state of delirium I called my sister at 3am mumbling frantically & incoherently about a character from The Darkness. Because I startled her awake and I was near hysterics I scared her pretty bad and when she realized I was talking about the book she was more than mad. A: I write like a raving lunatic! I was once told that the way that I write is raw and undisciplined and I think he said that because I’ve never taken any type of writing classes. He was reviewing a chapter of The Darkness and three pages consisted of one giant run on sentence. My written grammar is atrocious and my spelling is even worse but I don’t care because I know what I’m trying to say; and besides that why God created editors. I just write and I write on everything. I have several note pads full of what appears to be the ramblings of a madman, reams of scratch paper full cultural proverbs, references to the Bible & Koran and random quotes; and my research consist of sticky notes that are plastered everywhere…and once I wrote on my forearm while I was driving on the freeway because I didn’t want to lose an idea. A: I catch up on my sleep. When I’m writing I tend to stay up all night and half the next day writing. When I’m in a zone I can write for days at a time with maybe a just a few hours a sleep a night. I love watching scary movies reading scary books. I go to the spa whenever I can and just enjoy hanging out with my family and friends. A: I wouldn’t say it changed my life. However it did change my prospective as a writer. I don’t think change is the right word. I will say it strengthened my conventions as a writer. The book was Octavia E. Butler’s The Fledgling. I read the Fledgling in a day and a half. I started reading it on a Friday afternoon and was done by like 10am Sunday morning. I read it straight through I didn’t sleep, I was starving, and my eyes felt like sand paper because I couldn’t put that book down. Never before had I seen a black woman as a main character in a book, never before had I seen real world issues woven into the fabrics of fantasy and for the 1st time that I could remember I was reading a story where the lead female character was not weak and timid. When The Darkness was about at the midway point I was really nervous and doubtful that I as a black female writer would be able to capture an audience in a male dominated industry. I was scared because when I compared my story to the industry standard mine didn’t look like theirs; my story looked a lot like hers and she reigned supreme. Octavia E. Butler was a mentor to me even if she didn’t mean to be. Reading her work I realized that your differences are your strengths. Once The Darkness entered the editing and reworking stage I fought fiercely to keep The Darkness the way that I had written it. 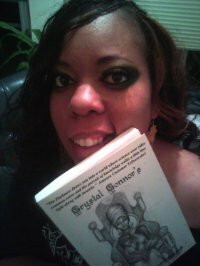 With powerhouse authors like Octavia E. Butler, Tananarive Due, Nnedi Wahala, and L.A. Banks as role models I feel that I can tell a fantastic, compelling, and frightening story without compromising myself as a writer or changing the characters or the tone of stories that I write. A: The Girl With The Blue Ink Pen. I write everything in longhand 1st and I only write with a blue ink pen or a pencil. I’m not sure what my issue is with black ink, I just know if a psycho maniac killer told you that all you had to do to live was to break into my home and find a black ink pen is that you would perish. A: I would like for you to know not only about my writing but also who I am as a person. I want you to know that I’m not some stuck up or pretentious author who thinks I’m the greatest thing to pick up a pen since Octavia Butler or Stephen King. I’m still that goofy, nerdy, sometimes self-conscious chick who screams warnings at the people in horror movies and reads books about dragons. Thank you for this interview Crystal. I wish you much success on your latest release, The Darkness! There are a million writers out there, each with his or her own particular skill. Some authors are plot authors. They can weave dozens of threads seamlessly together into a tight, slick story, propelled by events to a perfectly-executed climax. Most thriller authors fall into this category. Other authors are great at theme and symbolism, weaving hidden layers of meaning into every sentence. Still others excel at description, action, dialogue, or symbolism—everybody’s got their strong points, and readers gravitate to different authors for different reasons. Me, I’m a character guy. If the characters are believable and interesting, I don’t even care whether they’re sympathetic or not—I want to know about them. I want to know what happens to them, how they react, what choices they make, and why. The trick for me as a writer, then, has been figuring out how to make my characters believable and interesting, and while there’s always more to learn, I like to think I’ve got a few pieces in place. 1. Characters have to want something. There is no escaping this. Reading about a character who wants nothing is like reading about a lump of mashed potatoes. It’s kind of bland, sits there and does nothing, and tends to get pushed around by whomever wants to push it around. A character has to have goals. Those goals can be as simple as “I would very much like to survive until tomorrow,” or as bizarre as “I really need a plasmicophic ferangulator for my time machine so I can go back and prevent my great-grandfather from flirting with Ms. Enderlein back in 1927 and thereby save civilization,” but they absolutely must have them. 2. Characters have to do something. This is associated with #1, but it doesn’t follow by necessity. Big Pete might want Skeezy Al to stop hitting on his sister, but he could just sit back and watch, waiting for the problem to resolve itself. However, if that’s all he ever does, he’s not going to be very believable or interesting. Eventually he’s gotta do something about it. Maybe he blows up Skeezy Al’s car, hires a few thugs to beat him up, or even goes over and nicely asks him to please knock it off—but his motivation has to translate into action. In other words, things don’t just happen to him—he makes some things happen. 3. Characters have to have personalities. This does not mean you have to draw up a seven-page dossier on your character’s likes and dislikes, make up a dating site profile for them, or make them extreme caricatures. It just means you should have some idea of what they like, how their moral framework is structured, and what aggravates them. These things will color their actions, maybe even drive them. (And look—we’re back at actions again, not sitting around rummaging through somebody’s internal monologue.) I don’t have a clue what Stacy’s favorite color is, but I know she can’t abide the smell of sauerkraut, which will cause her to flee the sinister German grandmother in Chapter Twelve. That’s overly simplistic, but you get the idea. 4. Characters have to be true to their personalities. I don’t care if you need Loretta to push Cletus off the building to his death in Chapter Six in order for the plot to work—if you’ve painted Loretta as a real sweetheart, harmless as a teddy bear, for the first five chapters, nobody’s going to buy her sudden change of character. The same is true of the half-sloshed dockworker hanging with his buddies late one night—he’s going to drop a few f-bombs, or a few dozen, regardless of whether you think your mom will disapprove when she reads your book. 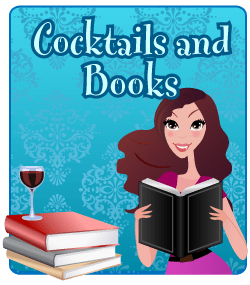 You and your mom are going to have to get over it, unless you’re content to populate your book with washed-out characters that have been robbed of all verisimilitude. Your characters must act like themselves, not automatons in service to the plot, nor censored versions of themselves in service to the local bluenoses. That’s not their job. And that’s about it. There’s a lot of room to play within those guidelines, but if you give your characters goals and personalities and have them act consistently with those goals and personalities, you’re already well on your way. 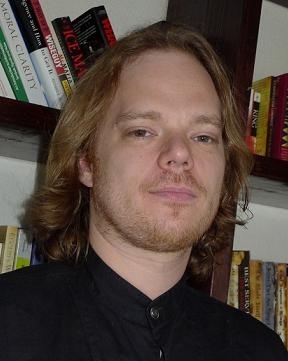 Joseph Garraty is an author of dark fantasy, horror, and science fiction. He has worked as a construction worker, rocket test engineer, environmental consultant, technical writer, and deadbeat musician. He lives in Dallas, Texas. 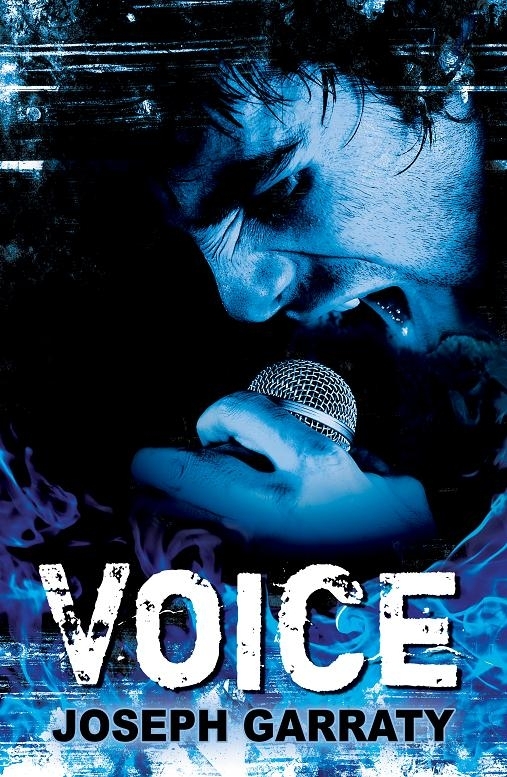 His latest book is the horror novel, Voice. You can visit his website at www.josephgarraty.com. Connect with Joseph at Twitter at www.twitter.com/JosephGarraty. Rolf Hitzer was born in Winnipeg, Manitoba, Canada in 1959 and raised by his parents, Erna and Julius Hitzer. Rolf attended Princess Margaret Elementary School, John Pritchard Junior High and Graduated from Kildonan East Regional Secondary School where he had majored in Culinary Arts. Rolf is married to his wife Irma since 1997. Together they have a wonderful blended family with Rita and Clark Bodoano and Grand children, Alexandria, Patrick and Braeden. Jason and Leah Tutlies, and Grandson Easton. Mandel Hitzer, and the youngest Jessica Hitzer. Clearly the growth of his family is still a work in progress. Rolf Hitzer has several passions besides writing, they include being at the log cabin on weekends. Spending time on the water with a fishing pole in hand. Wildlife viewing and especially Moose calling during the fall rut. Playing a range of Poker card games and a variety of board games. Rolf is a Member of the Winnipeg Real Estate Board, The Manitoba Real Estate Association and the Canadian Real Estate Association. He is currently working on his second novel. 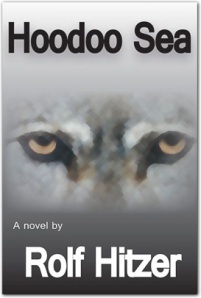 Hoodoo Sea is his first novel. Q: Thank you for this interview, Rolf. Can you tell us what your latest book, Hoodoo Sea, is all about? A: Nasa’s team of scientist’s develop speed-of-light capability for space travel. On the maiden test flight the crew goes missing as they enter the Bermuda Triangle. The crew is unaware that they have gone missing as they lose control of their technologies as they safely land in an open field. Convinced search and rescue will soon locate them the day is spent in waiting. What happens at night, though, is about to change everything they know and believe about life and death. Q: Can you tell us a little about your main and supporting characters? A: My main character, Wing Commander Scott Reed, is the quiet leader that cares about his crew. Before he acts, he thinks things through and then garners a plan of action. Well respected and liked, with the exception of Captain James Harrow who felt he deserved to be selected as the leader of the crew, and as the mission progresses, so does the anger welling up in this character. Captain John Heintz is the wholesome and religious doctor that was born and raised in the Midwest. 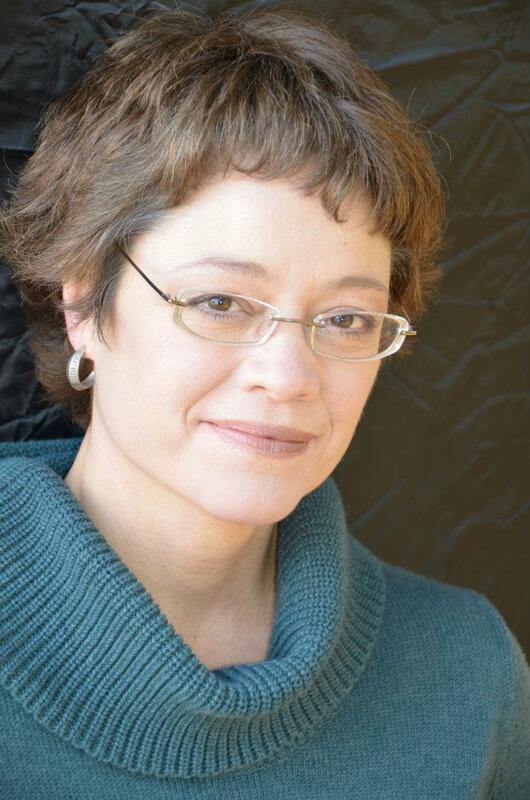 Deedee Polson is the only female member of the crew. In the book she starts off appearing to be emotionally fragile and little help to the crew members, but she prevails to be one of the stronger characters as the story moves forward. Q: Do you tend to base your characters on real people or are they totally from your imagination? A: The characters are mostly from my imagination. That being said, the main character does mirror my personality. At least this is what I’ve been told. Q: Are you consciously aware of the plot before you begin a novel, or do you discover it as you write? A: When I first started writing Hoodoo Sea I thought I had the entire plot figured out. A funny thing happened as I continued writing the novel. It was as if my pen took on it’s own life as the plot kept changing as fast as the chapters did. It was a really strange feeling as to how the book ended up versus what my original vision of the story was. I can genuinely say it was a combination of a planned plot and a ongoing changing plot. Q: Your book is set in the Bermuda Triangle. Can you tell us why you chose this location in particular? A: My novel is about life after death. I thought by having my characters go missing in the Bermuda Triangle it would add another element of mystery and paranormal. The beginning of the book is so misleading as the story and plot take on a hundred and eighty degree twist once they travel through the devil’s ocean. By the way, that is how the title of the novel came about. Hoodoo Sea is another name for the Bermuda Triangle. Q: Does the setting play a major part in the development of your story? A: Ooops, I gave some of this answer away by answering your previous question. Yes, the setting had everything to do with the book. The reason for selecting the Bermuda Triangle as a geographical location is the fact that I was having four different people going through what happens after death and this was a great location to have four people depart from Earth. Q: Open the book to page 69. What is happening? A: Captain James Harrow is having a nightmare. This is the first time he meets the antagonist, Therkor, who is communicating to James through his dreams. Captain Harrow awakens from the hellish dream and because it was so vivid compared to a normal dream, he doesn’t know what to make of what had just happened. Scott took a few slow and careful steps towards the wolves, hoping not to spook them into running off. The eyes didn’t move or blink. He stared them down, as if sizing them up, as he continued inching towards them. Now the pair of eyes on his left began to move towards him! He didn’t expect a wolf to show such aggression. Scott stopped, his heart racing. Why weren’t they running away, like they always had in the past? The first set of eyes continued to creep forward. Now the wolf on the right joined its mate. Scott remained perfectly still, trying to show these wild animals he was no threat to them, but his strategy did not stop their advance. Q: Thank you so much for this interview, Rolf. We wish you much success!